Apart from being constantly told I am lucky to live here…don’t get me started just read previous post…The other thing people say is…Ooh isn’t it expensive? Well, yes it can be. Come as a tourist and pay for a coffee on the beach aka the mediterranean, yes but what a view. In fact sights, sounds and smells. All in abundance here. But when you live here, it’s different. 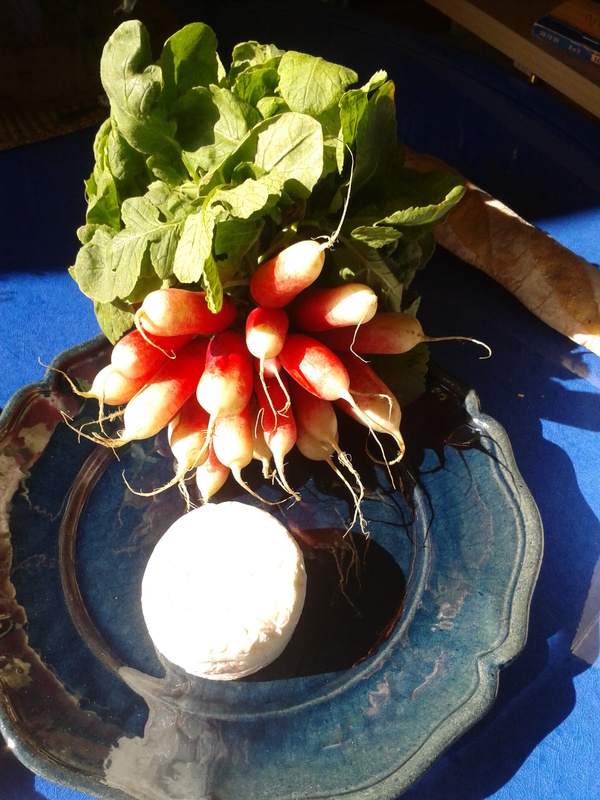 Apart from waking up to a blue sky and a smile on my face, on Wednesdays in Tourrettes-sur-Loup, there is the market. I only just managed to stop myself from saying. Who says vegetarians aren’t catered for in France? 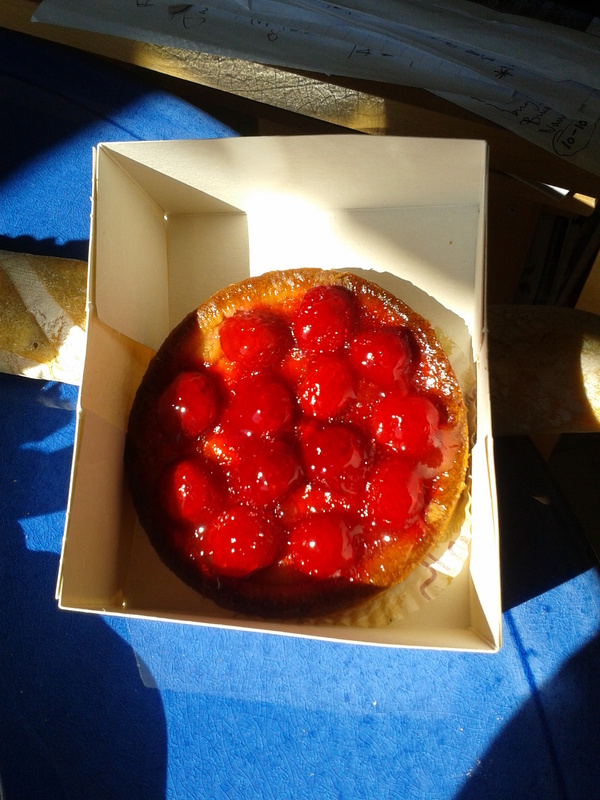 I then went on to buy,fresh tuna,goats cheese, radishes, ficelle (skinny bread) and a tarte aux framboise. A grand total of 12€ the tuna being the most expensive item at 6€. Of course I was only going to eat half and have the rest cold this evening…or not. MAY update: Keeping a tally. I spent 13.33€ per day in last ten days. I will celebrate and buy a mango!